The police in Imo have arrested one Chimezie Osuigwe, a retired vice-principal, for the alleged murder of his 78-year-old mother in 2003. Osuigwe was arrested after the embalmed body of the septuagenarian was discovered in a cupboard at his house by a family member. According to Mr Musa Katsina, the Commissioner of Police in Imo, the woman, Mrs Lucy Osuigwe, was declared missing since 2003. Katsina told newsmen at the house in Ejemekuru in Oguta Local Government Area on Monday that the embalmed body had been kept in that condition since 2003. “The corpse of Mrs Lucy Osuigwe, who was declared missing in 2003 was found in a large cupboard inside a shrine in a private room in a circumstance depicting ritual practice. 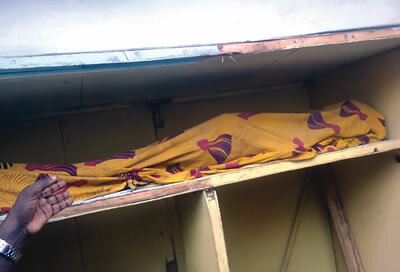 “The embalmed body, which was kept in that condition for about 10 years is believed to have been placed in the wardrobe by her son, Dr Chimezie Osuigwe, a devotee of the Guru Maharaji Sect. “Preliminary assessment of the scene of crime revealed that the woman must have been murdered by the son for ritual purposes,” he said. The commissioner said that plans were on to arrest other members of the sect who visit Osuigwe’s shrine. He said the body would be handed over to the forensic team of the command to determine the cause of death. He also said the suspect would be held for first degree murder until the cause of death was established.